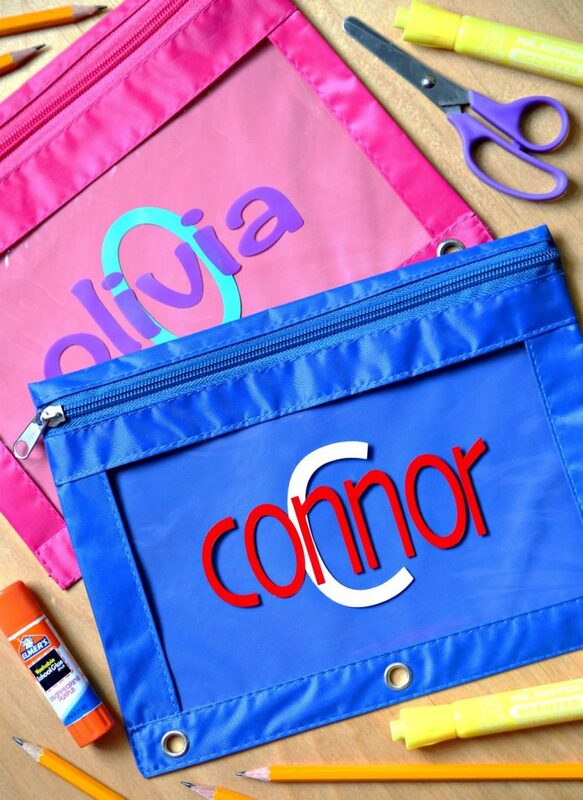 A school organizer is perfect for organizing everything your little ones need for homework. However, it can fit in with your home’s decor as well. I gave this one a farmhouse style makeover with faux concrete. 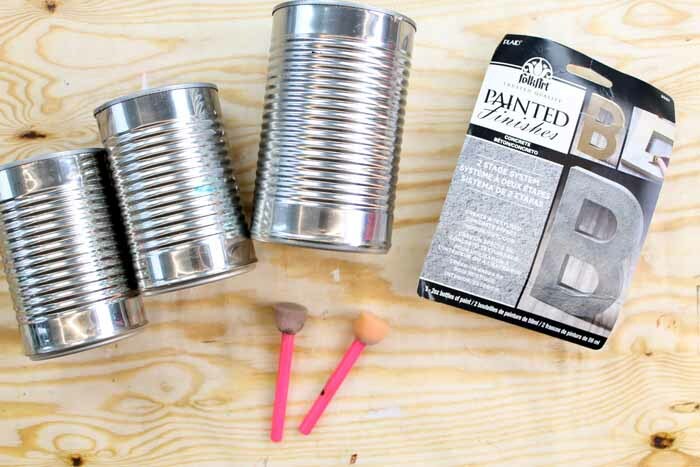 It is so easy plus it is made from tin cans! 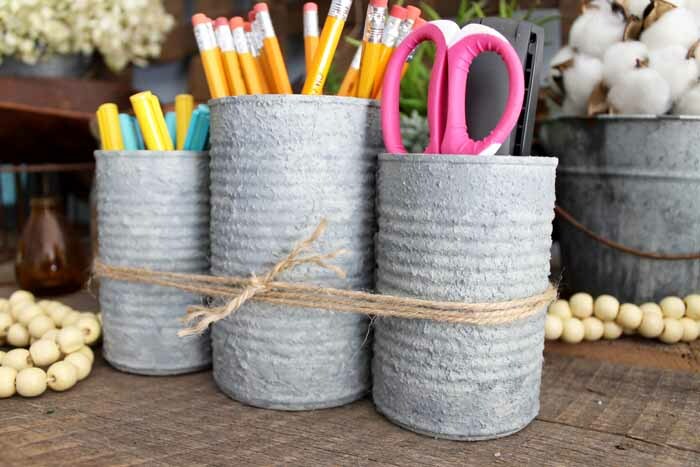 Yep save those cans from supper and create a gorgeous organizer for your home or even an office. This is a part of Craft Lightning week where we are sharing 15 minute back to school crafts all week. If you have missed any of the fun, be sure to catch up with day 1 and day 2 also. You will also want to scroll to the bottom of this post to see the blog partner projects from today. So lets get crafty! 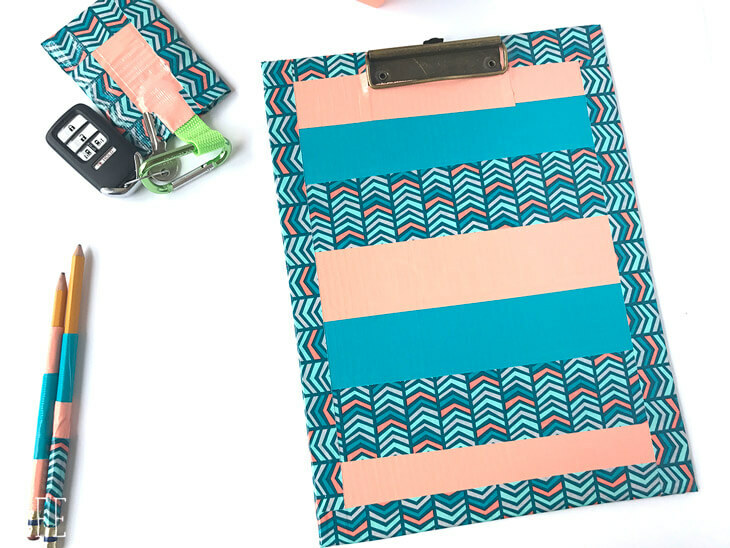 This school organizer is super easy to make. I did a quick video below to show you just how to make your own. Can’t watch the video or missed some of the steps? Here is a quick rundown of the process for you as well. 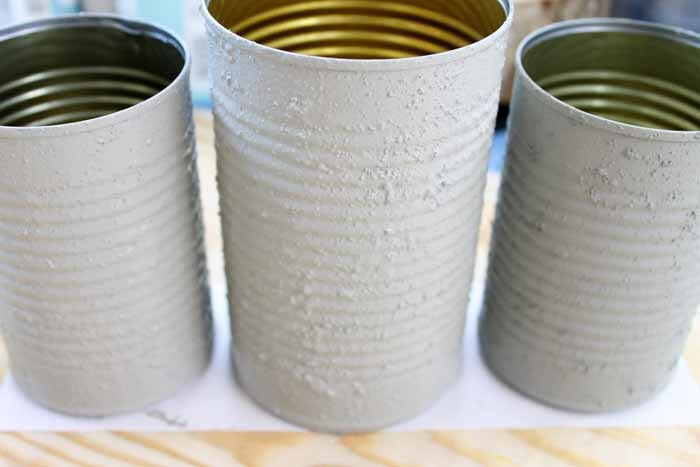 Start with clean, dry cans with the labels removed. First use a pouncer brush to apply one coat of the light colored concrete paint that is in the package. Then allow that to dry completely. Next add a second coat of the light concrete color with the pouncer brush. Immediately go over the light coat with a little of the dark coat and work it in slightly. This is where the video is really helpful! Go back and watch how I worked the two in together. This step is also where the magic happens. 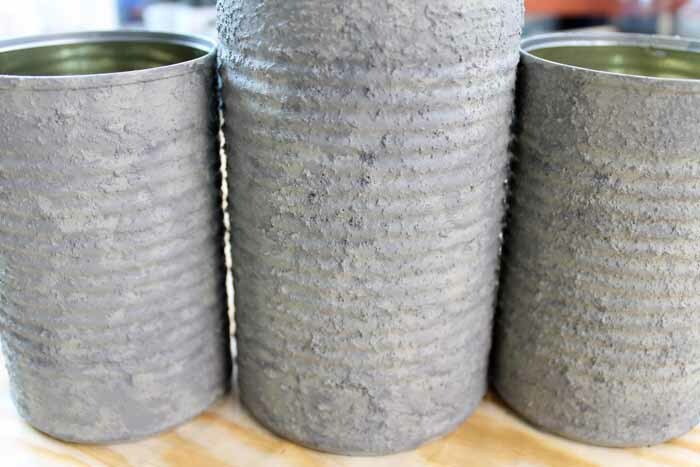 All of a sudden those plain cans look like concrete. Continue until all three cans are complete and then allow them to dry. Once dry, add a bit of hot glue between each can to hold them together. Then wrap all the way around with twine a few times and tie off in the front. Your school organizer is now ready for some supplies! And here are the cans after the second coat with the light and dark paint. Again these are still wet however you can see the effect that this paint has on your surface. It is just gorgeous and really looks like concrete! I added in a few school supplies to my organizer however this one would look amazing in a home office also. Don’t throw out those cans! 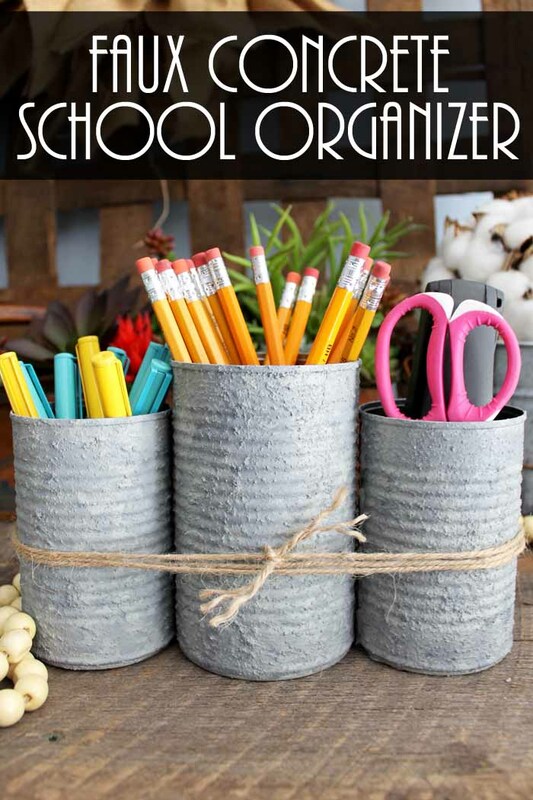 Turn them into a school organizer that will look great in any room of your home. Now I know that you are dying to concrete all the things! I am in love with this paint as well. So stay tuned as I will be sharing more projects using it! Now lets see what our blog partners for today have in store for Craft Lightning. Remember all of these are back to school projects that you can also complete in just 15 minutes or less. 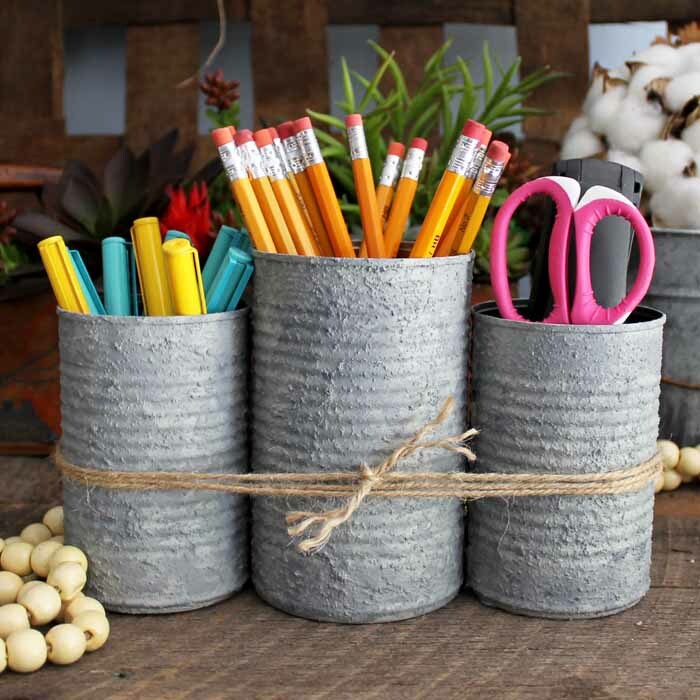 Start by using some duct tape to spruce up school supplies with Life Sew Savory. Have trouble getting the kids up and around? 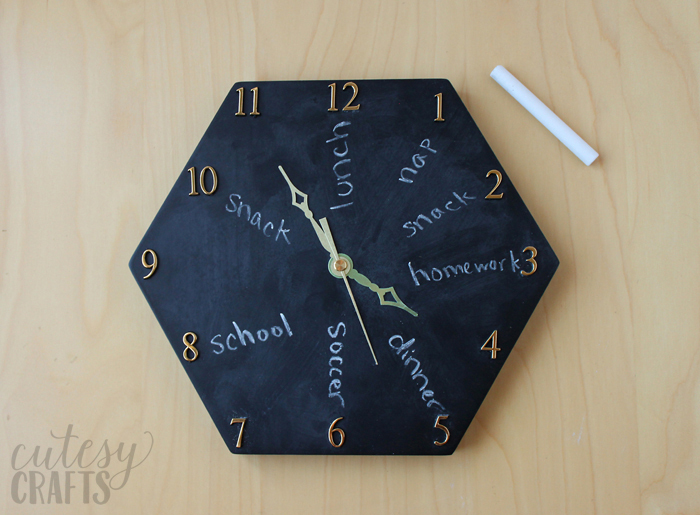 Try this chalkboard clock from Cutesy Crafts to keep them on schedule. Don’t send them to school with plain school supplies! 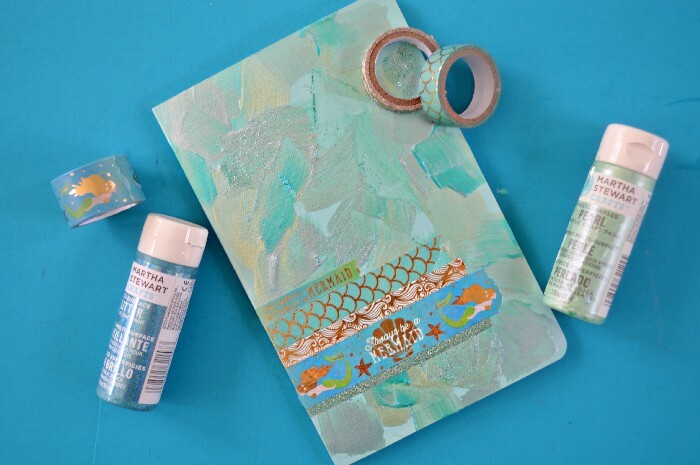 See how to make this mermaid notebook over at Mad in Crafts. Love flamingos? 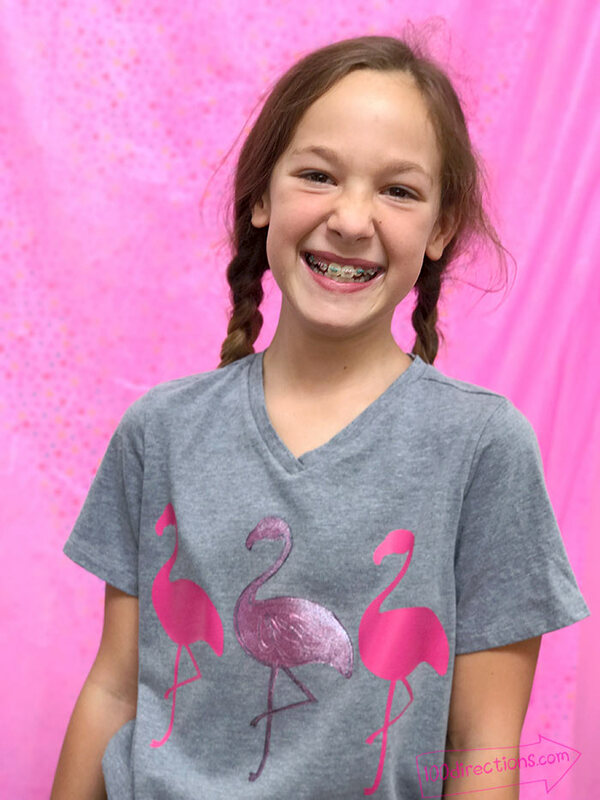 100 Directions has three great flamingo back to school projects that you don’t want to miss. 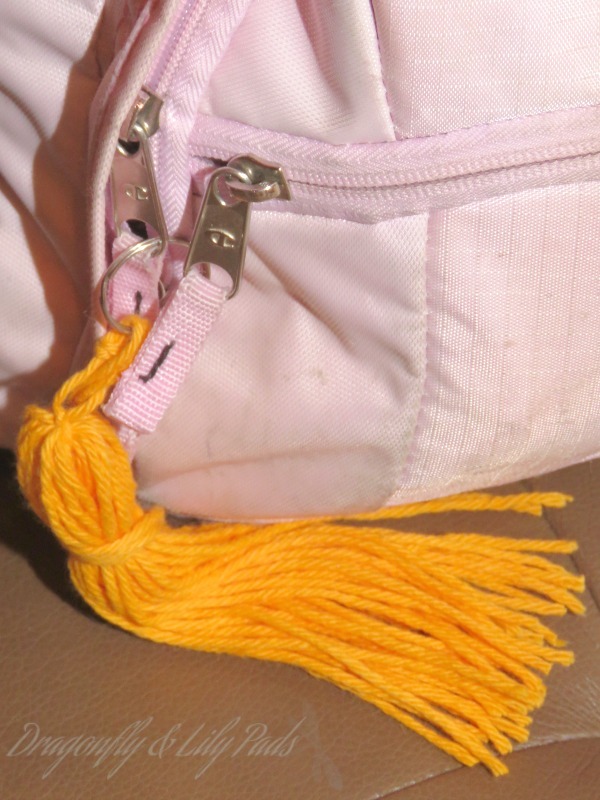 Next we have a fun tassel that can be added to a backpack, pencil pouch, or anything else! They are easy to make with this tutorial from Dragonflies and Lillypads. 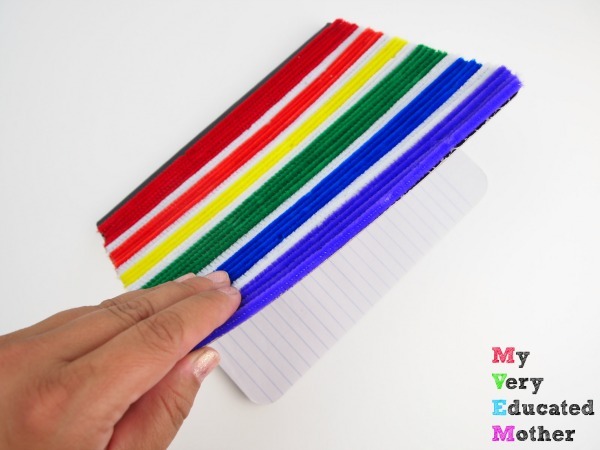 Adding pipe cleaners to a notebook is easy, quick, and inexpensive. See how over at My Very Educated Mother. Our guest co-hostess is Happy Go Lucky and she is creating personalized pencil pouches today. 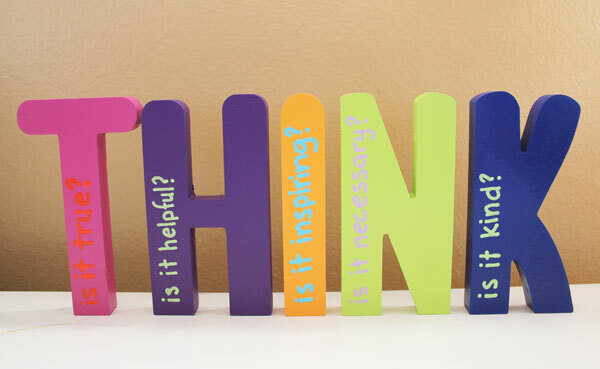 Finally, my long time co-hostess for this series is 30 Minute Crafts and she made these great THINK classroom letters. 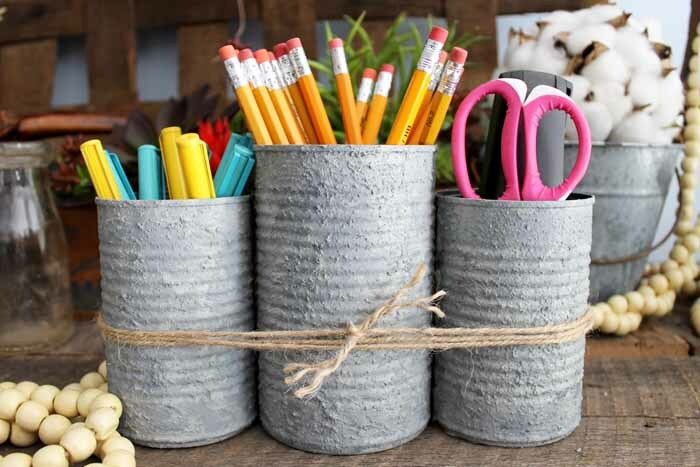 Make a school organizer or any one of these other back to school craft ideas. You are sure to love the results! So which will you be making this year? This looks like cool stuff to play with! The texture is great. Thanks for letting me know about it! Too cute! I love the look of the faux concrete. These turned out so pretty! This is fantastic! I have never seen that faux concrete paint. Definitely need to go and pick some of that up to make this! Thanks for the gorgeous organization idea! That faux concrete paint is so neat! I really like how your organizer turned out. Thanks for sharing with Merry Monday this week; I’ll be featuring your desktop organizer at our upcoming party.